Charlotte Dolliver, 83, of Lincoln (formerly of Schuyler) died Friday, June 23, 2017, at the Legacy in Lincoln. Charlotte P. Dolliver was born May 1, 1934 in Huron, South Dakota to Roy S. and Mary Louise (Barragar) McNutt. On August 21, 1950, she married Dean Dolliver in Huron. They moved their family to Schuyler in 1970. Charlotte enjoyed cooking and bowling and loved spending time with her family and grandchildren. 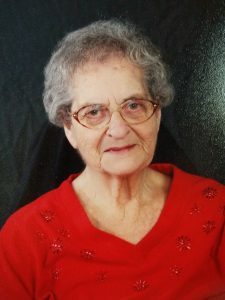 Charlotte is survived by her 3 children, Roxie Dietrich and Tim Campbell of Lincoln, Dennis and Peggy Dolliver of Wayne, Nebraska and Craig Dolliver of Lincoln. Also surviving are 5 grandchildren; Lea Dietrich of Lincoln, Jon (Amber) Dolliver of Malcolm, Cheryl Dietrich of Lincoln, Jason (Apryl) Dolliver of Pender and Brandon Dietrich and Amber Davison of Lincoln, 17 great-grandchildren; Dalton Dietrich and Rachael Crouse, Koen Dietrich, Avery Dolliver, Ty Shaw, Halle, Payton, Kolby and Briley Dolliver, Maya, Madalyn and Mayci Dolliver ,Chloe, Grace, and Mason Davison, Koltan Wademan and Alex Renninger and special nephew, Larry Riemert of Schuyler. She was preceded in death by her parents, husband of 42 years, and siblings, six brothers; Marvin, Charles, Keith, Ralph, Paul and Francis McNutt and two sisters, Ruby Meyers and Mable Wentzl.